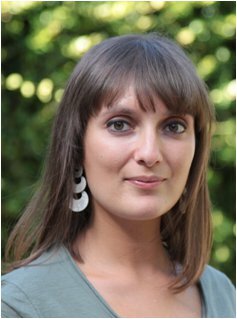 Silvia Lopa works as a Postdoctoral Researcher at the Cell and Tissue Engineering Lab since 2010. She graduated in “Industrial Biotechnology” in 2009 (University of Milan-Bicocca) and received her PhD in “Biotechnology Applied to Medical Sciences” (University of Milan) in 2014. During her PhD, she participated to several scientific projects in collaboration with clinicians as well as with industrial and international academic partners, including Limacorporate s.p.a. (IT), the University of Lyon (FR), and the University of Twente (NL). In 2013 she spent six months at the Erasmus MC (Rotterdam, NL) as visiting PhD student in the context of an international research collaboration focusing on macrophages. In 2012 she was selected as one of the six members worldwide of the Tissue Engineering Young Investigator Council, which is part of the Editorial Board of Tissue Engineering. In 2010 and 2011 she participated to the TERMIS European Summer Schools and was awarded with a grant on the basis of her scientific production during the latter. So far, she has authored or co-authored 14 scientific publications on international journals.